Near his friend Elliot S! Maggin’s booth in the artist alley at the San Diego Comic Con sits a man who is currently criticized, respected and envied. Criticized by some Sonic comic fans who feel that his recent copyright case with Archie Comics is taking away many of their favorite characters from the Sonic book. 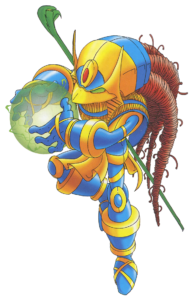 Respected because in his tenure on the Sonic comics, he created such a legacy of characters that the comic suffers a bit with them gone. And lastly, envied by other comic creators who would give their drawing arm to have the chance of owning their creations back. To them, Penders is living out a dream come true. With his famous mustache gone, replaced with long hair and a ponytail, also sits a man who some feel may be a bit too confident in his abilities than he realizes. His video and movie projects “The Republic” and “The Lost Ones” have still been unreleased for over five years and are still in production. 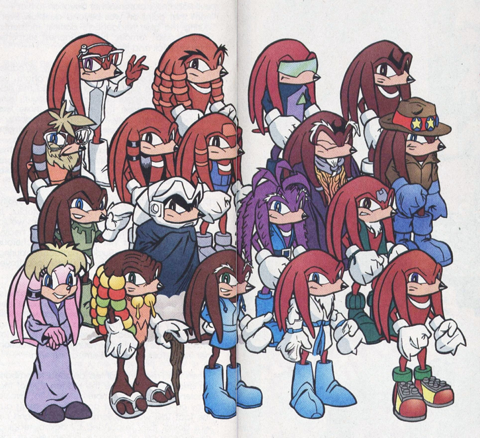 Could the Lara-Su Chronicles (an upcoming series of graphic novels based on Knuckles daughter and relations set in an alternate future) suffer from the same fate? And what of his art? Many people have been very critical about his latest promotional pieces. How does he feel about that? 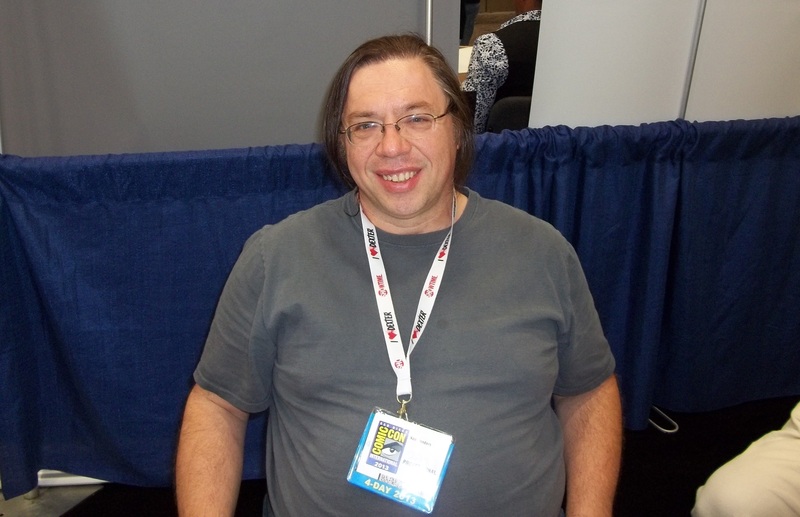 Read on to see Ken Penders side of the story. At NYCC, Archie Comics Editor in Chief Mike Pellerito said that the Penders legal challenge was ended with one phone call with Archie’s legal department. Today, Penders has released a statement on his website that “it’s not over”. Contrary to claims made recently at the NYC Comic Con by Archie’s Mike Pellerito, I continue to maintain copyright ownership of characters I created and this issue has not been resolved. My claim has merit and I continue to use every legal means at my disposal to protect and preserve my rights. It’s bizarre that Archie would make a public statement that indicates otherwise. More later at the appropriate time. Despite these claims, it should be noted that, according to research done by TSSZ, Penders has only been granted copyright ownership of one of his characters, Hershey the Cat. It should also be noted that many of the character’s he’s named in the past as falling under his copyright, he has not actually filed a copyright claim for. 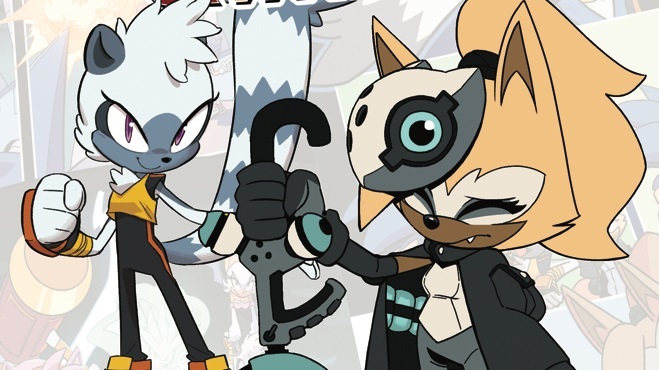 Archie has continued to release stories penned by Penders through it’s Archives series, most recently his most well known work “End Game Saga”, and will be featuring several Penders made characters it next month’s issue of Sonic the Hedgehog. Atop the Fourth Wall Reviews Sonic Live! Any long running comic series is going to have some duds. I’m not talking about weird changes in the canon, or rushed pace, or anything like that. I’m talking about issues so mind bogglingly bad, that it’s amazing they went all the way from concept to publication. 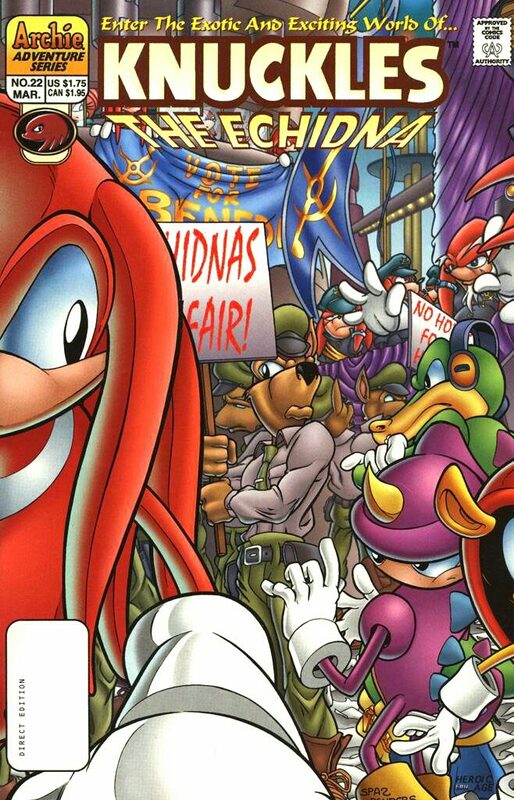 Sonic has regrettably had quite a few of these comics, one of the most infamous of which being none other then Sonic Live!, by Ken Penders. Sonic Live! 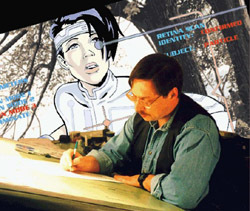 Every writer has his or her problems and bad tendencies, and Penders from far from an exception. Though he wrote some of my favorite stories in the comic back in the day, these problems would even permeate some of these stories. They are all on display, and at their worst, in this comic, which has now been gloriously torn apart by Linkara on his show “Atop the Fourth Wall”. Atop the Fourth Wall is a comic review show on That Guy With the Glasses, a wonderful collection of reviewers. The website’s namesake, the Nostalgia Critic, actually reviewed both Adventures of Sonic the Hedgehog and SatAM a year ago. Regrettably, blip.tv embedding code doesn’t work on TSS at the moment, so I’ve had to embed the videos in lower quality via Youtube. To see the video in it’s original quality and to leave comments in a place where Linkara will see them, go here. Thankfully, the comic hasn’t had a story like this in a very long time, though hopefully Linkara will consider taking a look at Sonic Super Special #15. I’ll be online Wednesday, May 29 at 7:00 EST in the chatroom if anyone’s interested. I’ve been so busy with work the past couple of months that it feels strange when I’m not. It’s all I can do to even respond to e-mail as well. Anyway, hope to see you there.